Your first visit is a two-hour consultation designed to help identify and understand your health needs in a holistic and comprehensive way. During the consultation you will be asked to speak as freely as possible to explain issues you are experiencing with your physical, mental and emotional health. 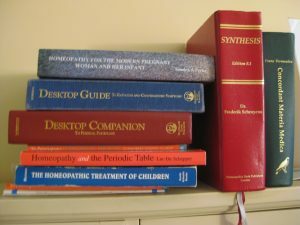 The homeopath will sometimes ask questions in order to clarify or better understand your experience of the situation. One remedy will then be prescribed based on the entirety of the symptoms that you have talked about and the paterns I have observed in your health. This remedy is specifically chosen so that it may help with all of your symptoms at the same time. The remedy is chosen so that it may help your body to heal itself, not cover up individual symptoms. Once the remedy is prescribed and taken, you will be asked to come back for follow up visits every 4-6 weeks to ensure that your health complaints are ameliorating and the best remedy has been chosen. After the first few months you will have started to notice many changes in your health and it will be left in your hands to continue follow up visits when you feel that they are necessary.